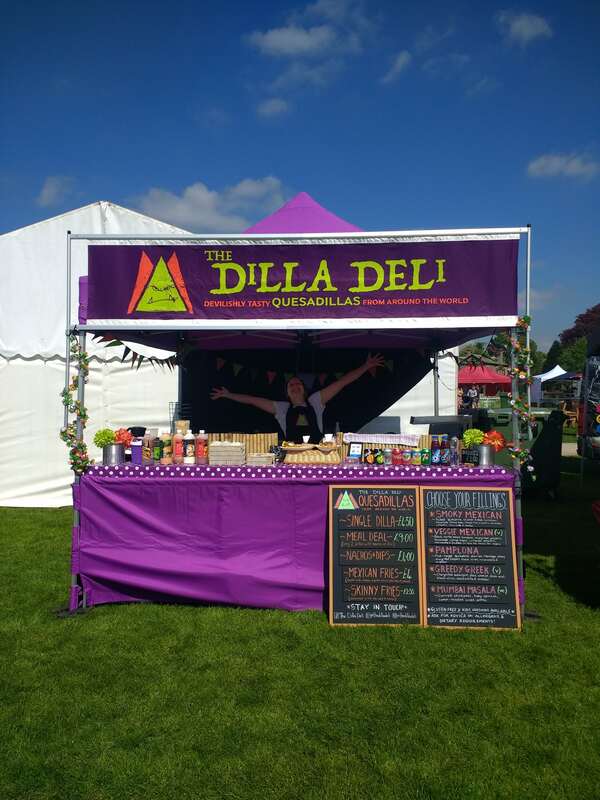 The Dilla Deli serve quesadillas with delicious homemade fillings from around the world as well as side dishes including fully loaded nachos, fries and scrumptious salads. As well as local Yorkshire meat options, they also offer vegetarian, vegan and gluten-free options so there is something to suit all dietary needs! Their quesadilla menu is pretty epic and includes a greek style quesadilla with aubergine, black olives and feta, as well as a Mumbai Masala quesadilla with chickpeas, sweet potato and cumin. They can also serve more traditional Mexican-style quesadillas with refried beans, coriander and jalapenos. They are environmentally friendly, have a five-star food hygiene rating and are fully insured. 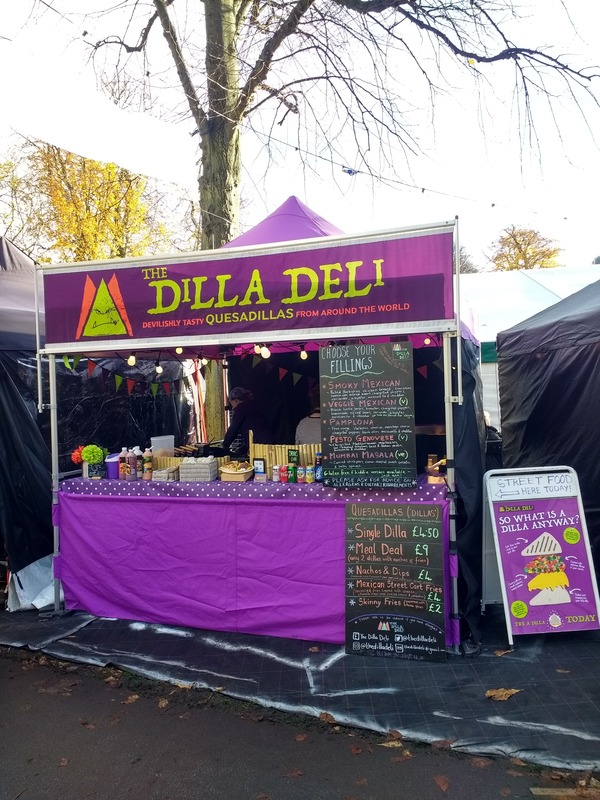 The stall is bright and colourful and the staff are all super friendly and ready to help your guests really enjoy the street food experience! If you’re interested in having delicious quesadillas and other Mexican goodies at your next event, then book these guys here on Feast It in just a few clicks!